Sierra Towers Pied-A-Terre. 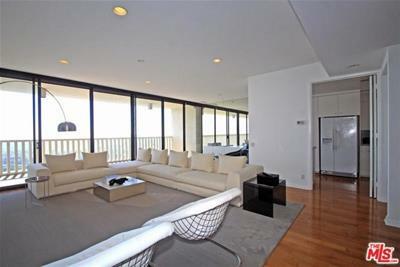 One bedroom, 1 1/2 bath unit on the 29th floor with breathtaking jetliner views from the ocean to downtown Los Angeles. Nestled in the hills above Beverly Hills and the Sunset Strip, sits one of LA's prestigious full-service buildings, Sierra Towers. Pool, gyms, saunas, and steam rooms along with 24-hour switchboard and valet parking makes this luxurious living beyond compare. Live the ultimate lifestyle that others dream about. Tenant occupied.